The Tesla Powerwall home battery energy storage units are a real game changer for global green renewable energy methods out there. Below you can see the benefits and the whats and why's behind them. The energy from the sun provide consistent and steady source of solar power throughout the year. The main benefit of solar energy is that both home and business users can easily deploy it, as it does not require any special or complicated huge set up. We cannot run out of solar energy, unlike some of the other sources of energy. Solar energy will be accessible as long as we have the sun. The popularity of solar panels has grown tremendously in the recent times. The sun provides abundant supply of heat and light. Energy from sunrays is absorbed by solar PV panels and converted to electrical energy. It is established as one of the renewable pollution free sources of energy. Use of solar power is becoming more important today. Solar panels are eco friendly in that they do not cause pollution and offer long-term solutions to the worlds problem of global warming. The Tesla Powerwall is a product of Tesla Energy, a business division of Tesla Motors. It is a system for storing free electrical energy generated from solar panels. Homes and businesses that are powered by solar panels could harvest and store energy during the day that could be used to run homes at night, or be used as a backup during a power outage. Essentially allowing the premises or home to operate off grid. As solar energy is more widely adopted, a dedicated battery to store the energy makes a lot of sense. 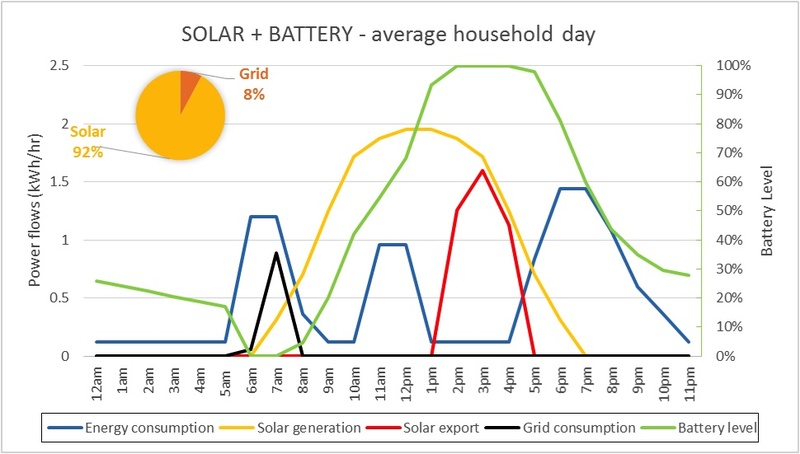 Powerwall's battery storage system offers a reliance on renewable energy supply by making energy from the sun available when needed, It stores the excess energy being by domestic PV systems, allowing you to theoretically disconnect from the grid and run your home using your stored electricity in the evenings and at night. 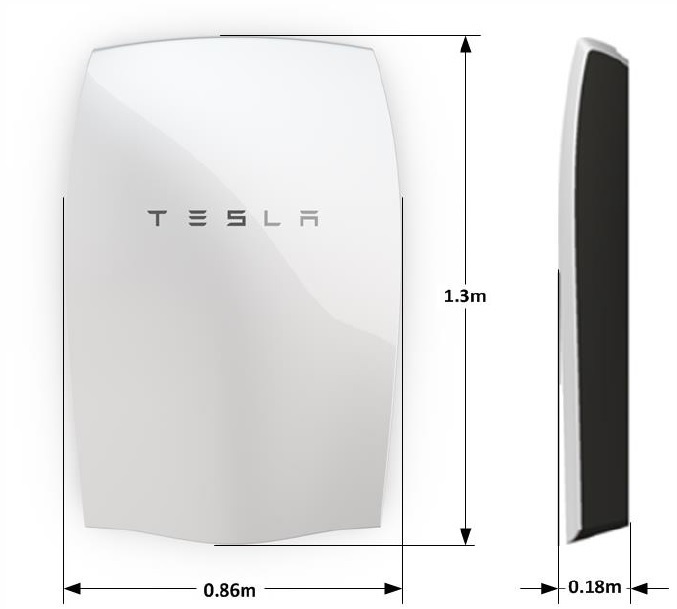 The Tesla's Powerwall is a home-based battery pack, wall mounted, which can storem power, current versions available in the UK have 6.4 kWh of usable storage The device comes in multiple glossy colours including white, charcoal, red, and blue, however the initial production run that is available in 2016 is only available in White.These models are sufficient to power most homes and properties during peak usage. If a home or business has a greater energy need, multiple Powerwall batteries can be stored together for homes with greater energy need, however the coupler needed to join multiple Pawerwall batteries is not expected to be released until post 2016. The Powerwall generates 2.0 kW continuous and 3.3 kW during peak evening or morning hours. The final price after installation for the Powerall is dependant on a few factors the cheapest form of installation is to a retro fit to an existing Solar Edge PV system where prices will start from around £5000 + VAT, other PV systems require an additional inverter and this is reflected in the price that starts from around £5400 + VAT. UK distributors and installers have now been selected and the Powerwall has been available for installation since Q1 2016. Click this link to see the Data Sheet and Information Pack for the Powerwall. The development of affordable storage solutions for solar power or other renewable energy sources such as wind has changed the nature of electricity generation and distribution. Off-grid homes need reliable power even at night, and solar panels are generally the most cost-effective way to generate it, but cannot provide on demand power unless the sun is shining, which may not necessarily be when it is needed most. The solution is therefore, to capture it in batteries which can then be drawn upon later to provide power for use. Many companies offer lead acid battery solutions, to store excess energy. One would need to have a whole bunch of the batteries and you would have to connect them together. When one battery goes out, you have to replace it. Home batteries are bulky, expensive to install and expensive to maintain. Tesla Powerwall's are based on lithium ion battery. They are completely automated, easy to install and maintenance costs are minimal. The system’s modular design is adapted from the technology used in Tesla's proven automotive battery technology such as that in the Tesla Model 3. Another benefit is in regards to pricing. Tesla Powerwall acts as a solution to electrify regions in emerging markets with no or limited grid access. It provides cost-effective energy storage, which is a necessary enabler for higher adoption of intermittent renewable energy. Electricity costs can vary a lot, it is important to look at your own bill to see how much you can save before reserving a Powerwall. The Powerwall could also keeps you going during a blackout however the software does not currently allow this functionality, but it is planned for a future update. Tesla Powerwall can help smooth out solar’ inherently variable supply of power to the local grid, and in the future even keep large buildings powered during blackouts. In locations with very unreliable power, solar paired with a Tesla Powerwall battery could be worthwhile right away if this functionalit is available. Tesla’s CEO Elon Musk also operates a company called SolarCity who as the name suggests manufactures and installs solar PV and other battery backup systems around the US. Tesla startedn distributing the Powerwall in the United Kingdom in 2016. Home solar installations consist of a solar panel, an inverter, and a Powerwall battery for surplus solar energy storage. 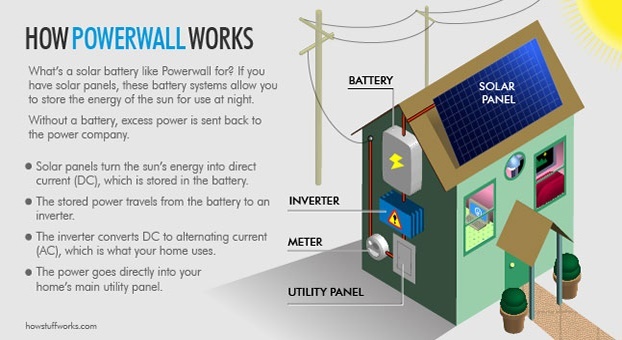 The solar panels turn the sun energy into direct current (DC) which is stored in the Powerwall battery. The Powerwall battery contains a smart DC-AC converter for controlling power flow, a battery management system, a thermal management system, and a rechargeable lithium-ion battery. The stored energy travels to the inverter. The inverter converts the direct current (DC) to alternating current (AC), which is used at home for lighting, devices and appliances. The power goes directly to the home’s main utility panel. Tesla Powerwall are designed to be easy to install, though they mostly require installation by a trained electrician, and will connect to the internet so that users can monitor their power usage. Although solar energy is an exhaustible source of energy, costs post a major problem, which makes it an impediment to exploit the energy that is all over. Powerwall is a great concept that is great to get people thinking about ways to save energy and be more efficient. Although not everyone is in favour of the use of solar panels, many governments and state authorities are encouraging solar use through incentives such us subsidies and feed in tariffs. 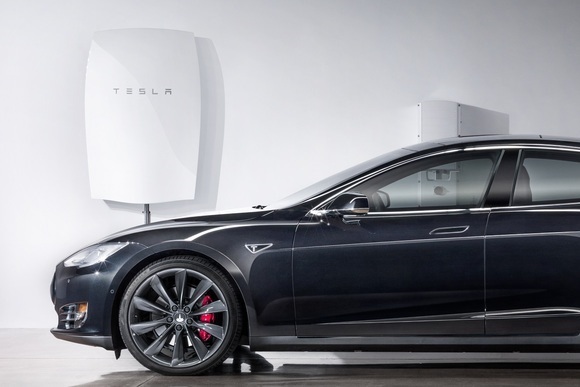 This is likely to lead to an increase in the number of Tesla Powerwall batteries. It is also worth noting that not all existing solar systems and inverters are compatible with Powerwall. This means that you will still receive your FIT payments, even though you are using far more electricity that you generate. Contact us if you are interested in the Powerwall.